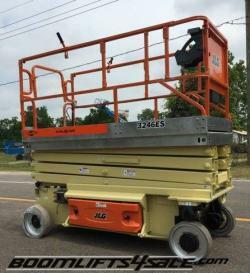 Scissor lifts are a mainstay of the construction industry, offering an economical alternative to portable aerial platforms and boom lifts. 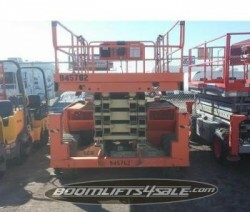 Boomlifts4sale offers a wide selection of new, refurbished and used scissor lifts. Scroll down to check out our current online selection, and feel free to contact us to find out about our la test items arrival. 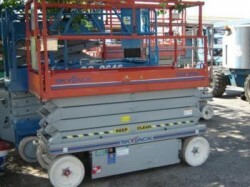 Designed for level surfaces, scissor lifts utilize a lifting technique consisting of crossed cylinders that, mimicking a scissor, move up and down. 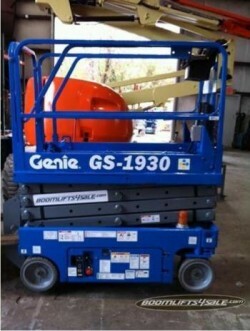 Scissor lifts typically have a heavier lift capacity than portable aerial platforms and are often used to lift heavy loads of tools, materials, and workers directly overhead. 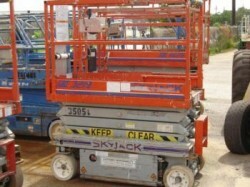 Scissor lifts vary greatly regarding their load capacity, platform size, and fuel requirements. In general, though, they are ideal for carrying and lifting construction materials like cement, steel blocks and pipes. 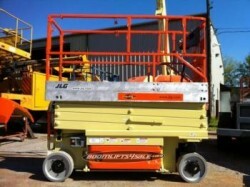 Electric scissor lifts are especially mobile for tight working areas. Their low engine noise levels and versatility make them ideal for delicate environments found in indoor workspaces. Some of the more compact models can clear doorway thresholds and maneuver through narrow aisles, making them useful for an endless amount of tasks. These features also make scissor lifts easy to store in tight areas and for operators to store them in trailersand even trucks. 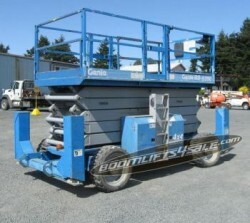 Scissor lifts come equipped with various sizes of tables, with loading capacities that surpass 2000 lbs. In addition, tables can be equipped with fold-down guardrails and removable railings. And some models come equipped with a platform tilt functions, making it especially easy to load and unload equipment and materials. 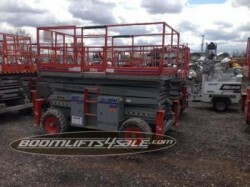 Most scissor lifts are come with 2- and 4-wheel drive capabilities. 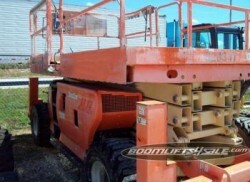 They are equipped with wheel rollers or stoppers and operated by a hydraulic pump. 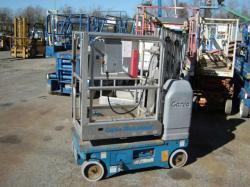 Additionally, many models feature zero inside turning radius for excellent mobility inside tight working areas. 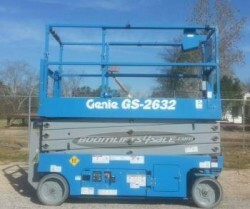 Scissor lift pricing varies depending on the machine’s lift height, loading capacity and extra functionality features like built-in chargers for electric motors or push-button controls, for example. 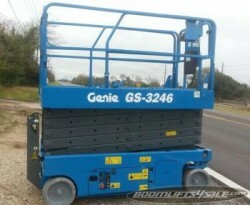 Carefully gauge the scope of your project before acquiring a scissor lift. 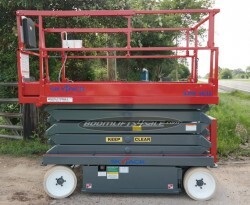 But rest assured that scissor lifts come in an array of sizes that make them ideal for numerous construction and industrial tasks. It’s no surprise they are a popular—and essential—component of the industry.